Immigrants reaching for the American dream has been a plotline for stories since our country’s founding. It takes a skilled author to create empathy for a person from another culture struggling to gain membership in our country. 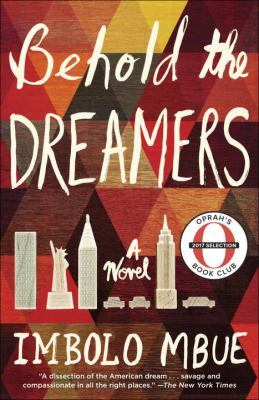 In Behold the Dreamers, the immigrants are people we care about on a personal level and their struggle is real. This remarkable novel by Cameroon-born (now United States citizen) Imbolo Mbue has characters that are infused with a humanity that is universal. The novel leads us through the lives of four very different people living in two very different worlds, connected by a web of business and personal entanglements. Both the immigrants (Jende and Neni Jonge) and their wealthy employers (Clark and Cindy Edwards) manage their complicated lives and divided attentions in different ways. Behold the Dreamers has multiple messages that are gently infused by the end of the novel: It doesn’t take migration from a different country to leave a person culturally adrift and insecure; Home is a feeling and an environment, not simply a place; A person doesn’t really control her life, but she can control her response to what life presents; Wealth doesn’t bring happiness; and dreams are sometimes best kept as dreams. Northeast Ohio residents soon will have the chance to hear the author of this outstanding, best-selling novel as she speaks of her writing and her life experience. 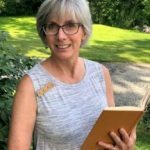 The Northcoast Writers’ Showcase (11 am- 3 pm) offers the opportunity to meet more than 20 local authors (adult/children’s fiction and nonfiction) and purchase their books Here’s a digital collection of their work: https://clevnet.overdrive.com/clevnet-willoughby-eastlake/content/collection/119972. A variety of author presentations designed for aspiring writers will be held at noon, 1 pm and 2 pm. Carol Tuttle is the Collection Services Librarian for the Willoughby-Eastlake Library System. 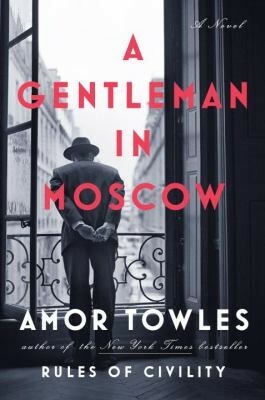 She is currently reading A Gentleman in Moscow by Amor Towles.